There are 20 Memory Care Facilities in the Deltona area, with 1 in Deltona and 19 nearby. To help you with your search, browse the 41 reviews below for memory care facilities in Deltona. Better rated regions include Winter Springs with an average rating of 4.8 out of 5 stars. Caring.com has helped thousands of families find high-quality senior care. To speak with one of our Family Advisors about memory care options and costs in Deltona, call (855) 863-8283. Deltona is a midsized suburban community with a population of 90,746, including 14,519 residents over 65. Due to Florida's popularity among senior citizens, it has one of the highest rates of Alzheimer's disease in the nation. More than 500,000 Floridians are affected, including 16,133 in Volusia County and about 3.1 percent of Deltona's population. Residents who have dementia and require 24-hour care can be admitted to an assisted living facility that has a extended congregate care (ECC) license. 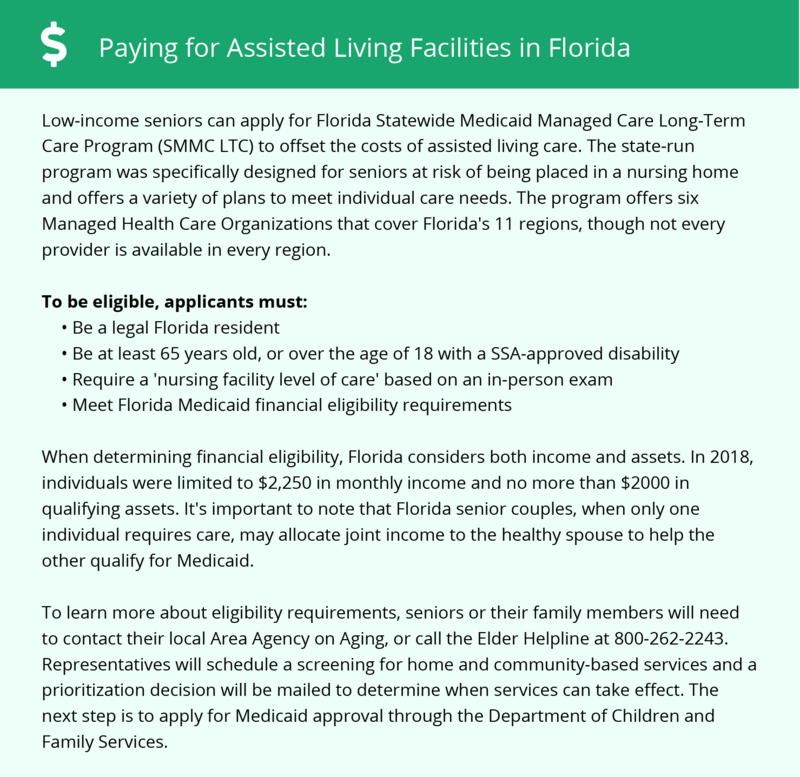 According to the Florida Department of Elder Affairs, approximately 11 percent of ALFs are authorized to provide these services. Deltona is home to one memory care facility, and an additional 50 communities are located in the surrounding area. Florida's lack of individual income tax can increase the affordability of memory care and medical services. Ordinary income and retirement benefits from Social Security, IRAs, 401(k)s and public or private pensions aren't taxed by the state, which can save seniors several thousand dollars annually. Delton's moderate cost of living can help fixed-income seniors stretch their budgets. The community is 13 percent more affordable than other parts of Florida and 2 percent more affordable than the national average. In particular, seniors benefit from the competitive housing prices as well as the reasonable health care costs, which are 5 percent lower than the U.S. average. Mild weather also attracts seniors to the area. Deltona has a Sperling's Comfort Index of 80 compared to the U.S. average of 54. Although January lows hover around 47 degrees, July highs typically exceed 90 degrees. The area also experiences strong storms and hurricanes, so memory care facilities must have backup power and evacuation plans to protect residents. The Orlando-Deltona-Daytona Beach area is the nation's 25th cleanest region based on its low year-round particulate levels. In general, seniors are more susceptible to pollutants. Even adults with asthma, COPD and respiratory illnesses can benefit from the city's excellent air quality, which is unlikely to exacerbate their symptoms. Memory Care costs in Deltona start around $0 per month on average, while the nationwide average cost of memory care is $4,799 per month. It’s important to note that memory care rates in Deltona and the surrounding suburbs can vary widely based on factors such as location, the level of care needed, apartment size and the types of amenities offered at each community. Deltona and the surrounding area are home to numerous government agencies and non-profit organizations offering help for seniors searching for or currently residing in an assisted living community. These organizations can also provide assistance in a number of other eldercare services such as geriatric care management, elder law advice, estate planning, finding home care and health and wellness programs. To see a list of free memory care resources in Deltona, please visit our Assisted Living in Florida page. Deltona-area assisted living communities must adhere to the comprehensive set of state laws and regulations that all assisted living communities in Florida are required to follow. Visit our Memory Care in Florida page for more information about these laws.